According to studies, around ten billion can be saved a year through effective management in the multifamily industry. For property management, when utility or energy is usually the second largest line item, it is surprising that many companies do not actively participate in a program of energy management. Most property managers do not know where to start, or developing a program that will yield the best energy to cost ratio. Here is a striking plan outline that can help develop a concrete energy management plan. If property management has already initiated some system for managing utility then they would already be in contact with an energy expert. This professional can provide some very useful advice and suggestions for improving the existing system. Local utilities also now have different types of discounts and incentive programs that are worth investigating. Many people are not aware of these programs and they could be particularly useful in the multifamily industry. Managing cost is not possible when you do not know how much energy is being used and what you are being charged. Hence, the first step would be to gather and track invoice data of utilities. This will provide a fantastic and specific idea about energy consumption on the property, the rates being charged, and property management has the opportunity to check the accuracy of billed amount. If these processes are not possible in house, then the job could be outsourced to invoice processing companies, who can handle it more professionally. Simply collecting and storing data will not be of much use, unless it is analyzed for better revenue outcomes. Property management could generate a spreadsheet from the collected data and have it analyzed. However, a superior way would be to use a SaaS (Software as a Service) based system, as it would provide better visibility, control, and tools that can help in reducing costs. If there were no expert available to professionally run such a system then it would be best to leave it in the capable hands of an energy expert or an invoice-processing vendor. Energy management process involves analyzing data from different angles and finding potential areas of saving. Property management should consider employing a person who has energy management or analytic certification. Reviewing the data professionally, at least once a week is vital in energy management. If a full-time person is not available, a professional from the utility service or invoice processing service could be called to inspect the data at regular intervals. Some of the important utility metrics that are important to rank would be electricity, water usage, and sewer costs. However, other areas that are paramount for your property should be included as well. Whether it is common areas, apartment units or some other aspect on your portfolio, the high cost areas will yield the best opportunities for saving capital. Property management is a challenging profession and the property manager has a tough job of satisfying the tenants as well as the property owner. A minor mistake or small amount of carelessness could cost the business dearly, and hence property managers have to be vigilant and focused. However, there are many instances of property management committing major and sometimes irreversible blunders, which are listed here. Tenant screening should be given top priority and there should not be any room for carelessness or mistakes. In fact, before the application process, only those prospects should be allowed to apply that meet certain criteria. During the application process, property managers should follow strict protocol in screening procedures and carry out a credit and criminal background check, and reference the properties where the tenant had stayed before. 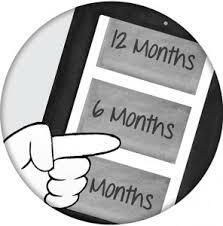 First, there should be specific terms and conditions in the lease that cover late payment of rent. The tenant should feel that property manager has some strict policy regarding rent collection, and there are penalties for not paying the rent on time. Secondly, property management should make sure that all the things are actually put into practice; otherwise, tenants will obtain the feeling property management is not really serious about implementing the lease clauses. Even in cases where the tenant is going through actual financial difficulties, it would not be wise to be tolerant beyond a point, since it will be very difficult for the tenant to catch up on the arrears later. Inspections should be carried out periodically, since that will reveal structural problems, safety hazards, and other issues on the property. In case of internal inspection of units, tenants should be given sufficient notice about the inspection according to legal guidelines. Even on smaller properties, a routine inspection is an essential task that property management cannot afford to ignore. Many property managers prefer to remain distant and hard to approach in order to avoid receiving maintenance requests and complaints. Maintaining concrete relationships with tenants is key to tenant retention and reducing vacancies. It is much worse when the property manager ignores phone calls or avoids replying emails from tenants. In fact, when communication lines are kept open, many issues on the property can be resolved quickly and relatively cheaply. Maintaining proper communications will not only improve relations with tenants but also improve the reputation of the property. Ignoring renewals is the quickest way of reducing a stable income. Lease renewals should be given top priority and the property manager should make sure the tenant is given stellar reasons to stay on. Many property owners and property managers are known to mismanage security deposit amounts of tenants. They are not returned to the tenant on time when they leave the property, and many tenants have to give several reminders and threaten legal action to get their money back. Security deposits should be accounted for in a separate account and all the legalities have to be followed regarding these amounts. Any property manager or property management firm who messes this up will lose business because word travels fast in this regard. A property manager has a busy schedule and usually has to multitask to keep up with the increasing workload. With the dramatic increase in development of mobile technology, property management now has several tools at its disposal to make their job easier. Here is a list of the best free apps that a property manager might find very useful. 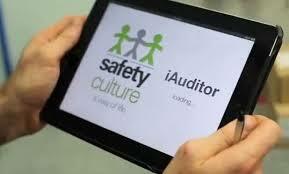 This app is developed by Safety Culture, and it enables property managers to conduct safety inspections much quicker and in an easy manner. iAuditor is considered the most popular app for inspection checklist around the world, since it can be used for conducting more than 25,000 inspections in over 80 countries. The app provides more than 20,000 inspection forms in its Public Library, and you can build your own form within seconds. The numerous forms available in the library is the result of users from around the world collaborating and sharing various safety inspection checklists. iAuthor is being used for working efficiently and smarter, by international airlines, fire departments, government agencies, and single trades people. HelloSign enables you to sing documents on the go, without having to download or scan, print, and sign the document. Property manager can simply take a picture of a PDF document or import it from Google Drive or email. He can then sign with his finger on the screen, and then send the signed document through email. The app also offers features for editing the PDF document with checkmarks, and text, apart from the signature component. Harmonious tenant is synonymous with being a harmonious neighbor. Good tenants in general do not disturb others with the hope that others do not disturb them. Hence, disturbance is a major factor that can drive away good tenants from a property. The main disturbances outstanding tenants hate are neighbors partying and making loud noises during the evening and at night, neighbors indulging in bad behavior and criminal activities. Property management should make sure complaints of disturbance are prioritized and attended to immediately. Slackness in resolving disturbance issues could result in losing tremendous tenants. Solid tenants also hate disruption in their schedule caused by repairs or inspections done by property management. Even though these activities cannot be stopped it would be wise to provide tenants with sufficient notice before starting these activities. 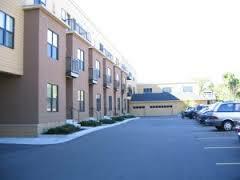 Wonderful parking spots are usually prized possessions in a community, and when a tenant finds his space taken by some other tenant or guest, it can cause irritation and even livid anger. If you take a survey and ask your tenants what bugs them the most, finding another car in their parking space will be on top of the list. Therefore, property management will have to create policies and rules about parking spaces, and implement them strictly without any bias. Penalties could include warning notices and fines; however, for repeated offenders calling the tow truck would be the only option. Many reliable tenants are renters by choice, which means they have the ability to buy a home but prefer renting a place because they do not want to deal with repairs, mortgages, banks, noisy neighbors, immobility, and maintenance issues. Most respectable tenants expect five star treatments and want an almost immediate response to their repair and maintenance requests. However, this is not possible for property management, as the maintenance team is usually overworked and taking care of multiple issues before they become conflagrations. The best strategy would be to have a protocol in place for receiving such complaints and properly disseminating the work. 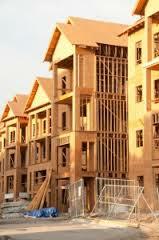 However, tenants should be kept informed about the progress of their work until it is satisfactorily completed. All tenants like to be safe in their community and hate to feel insecure. Property management should prioritize security issues and actively resolve all safety concerns of tenants. Installing proper gates, video cameras, and burglar alarms systems make tenants feel safe. Sometimes tenants might complain about certain guests or other tenants when they observe some activities that they feel are suspicious. Property management should take all such complaints seriously, and carry out investigations discreetly. Most times these complaints are unfounded, but every issue must be looked into to see if there is any truth to what the tenant is claiming. One tenant complaining could soon turn into several and that could be a conflagration. Management spending money in the most prudent and judicious manner can result in more savings for property management and ultimately result in improved profits. In fact, adopting an effective financial management strategy is critical for property managers. When there are no policies about spend management and the purchasing program lacks standardization, expenses can escalate unreasonably. For instance, consider a situation where annual rebate is missed which could have saved several thousand dollars, because the maintenance team was not aware of the preferred vendor. Spend management includes policies about what to purchase, whom to purchase from, and how to implement best practices. In these aspects, implementing standardization will bring about consistency in the spending, which is quite important. Standardization will not only promote consistency in procedures but also help in promoting compliance. Product purchasing will be done according to set procedures, which includes pricing options. When standardization brings about better compliance, property managers will strive to optimize partnerships with suppliers. Additionally, everybody is kept on the same page with execution resources, and training for establishing a basic workflow. Purchase of major items such as HVAC systems, garbage disposal units, and toilets will become streamlined and there will be much less chance of missing opportunities of rebates and discounts. Another major advantage of standardization is that it will remove the play of emotion from the purchasing process. Maintenance staff might want a say when you are purchasing caulking material, but for big-ticket items, it is best to have uniformity and standardization for the entire portfolio to derive maximum benefits. Here are certain important elements that can be used in developing a successful standardized system. Data intelligence will be the main component of spend management program, since it will be determining what you are negotiating about, how your process is going to be tuned, and how all this information is going to be communicated to the team for maximum compliance. For instance, comparing invoices of paint purchased on different properties might reveal price differences for a gallon of paint. In such instance, the property manager could start negotiations for a standardized rate for all properties from a particular supplier. Effective communication is another major component that is crucial when changes are taking place. It could be for developing long-term relationship with a preferred supplier or for getting the whole team on the same page. Maintaining transparency in the whole process or work flow is also very important. Everything should be visible right from the time spend is initiated at the property level, and all the way through receiving the products. Maintain a system for accounts payable where all the invoices are transmitted electronically. It is important to monitor compliance of purchasing procedures and that agreements are followed. A reporting system will reveal inconsistencies in the negotiated price or the choice of suppliers. Communication and reporting are the two important elements driving compliance that has to be inherent in the purchasing structure. Implementing mechanisms for ensuring complete compliance is important, and it could include education and training sessions for staff. 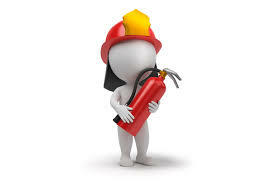 According to the NFPA (National Fire Protection Association), around 80% people die in homes when there is a fire. Another startling fact according to the American Red Cross is that only about 25% families develop and practice a fire escape plan. These statistics show that fire poses a major danger on properties and unfortunately, most people are not prepared to deal with such situations. This means property management has a quite a big responsibility and a major role to play in saving people's lives in case of a fire. With the onset of the holiday season and the New Year, there are more chances of accidents taking place that can cause a fire on the property. When many families do not know what to do in the event of fire, and there is no proper escape plan the result can be catastrophic in a community. Hence, the first thing property management should do is implement fire escape plan for the different units on the property. Print the floor plans of the different units and make sure to include all the emergency exits. This will provide tenants, a marvelous idea about the possible escape routes they can take in the case of a fire. Explain to tenants, the steps they should take when a fire breaks out. Instruct adults in each unit to plan how they are going to take responsibility of children, the elderly, and people with disabilities in their household. When adults know, whom they should be taking care of, it can save valuable seconds during a fire. Property management should not only develop a fire escape plan, but also hold mock drills two times in a year. Another major responsibility of property management is to install smoke detectors and fire alarms on the property, and make sure they are kept in working order by regular inspections. According to NFPA, functioning smoke alarms, cut the mortality rate by 50%, and they have been a major factor in decrease of fire-related deaths in the past three decades. Property management should install the latest smoke alarms, which are much smarter in detecting smoke from real fire compared to nuisance smoke that is a result of cooking or some such safe activity. Most people disconnect smoke alarms because they do not want it going off due to nuisance smoke. The time it takes for a house to be completely engulfed in a fire has reduced drastically. About fifty years ago, it was eight times slower for a house to be completely gutted by fire because there were much less synthetic petroleum based materials in the house compared to today. Property management should take note of the fact that even though synthetic materials are long lasting and easier to maintain, they can cause fire to spread very fast and for the fire to burn intensely. Hence, consider the fuel load of materials and the potential of major losses in a fire. Synthetic material may seem economical but when compared to the devastation they can cause in fires, they may not be so appealing. Without data analytics, all strategies of property management can be compared to driving the car at night without lights. Especially in marketing the property, analytics has a major role to play, which can influence the outcome. If the property manager is not effectively keeping track of prospects and not targeting them, then the money invested in the marketing campaign would be a big waste. Analytics feature should be a part of the property management software, which should be capable of analyzing various aspects such as performance and ROI. This will provide a clear picture to the property manager whether profits can be maintained or increased. Marketing is an important job of property management for reducing vacancy rates, and improving the reputation of the property. However, marketing strategies may not work as expected and it important to track down efforts that are not yielding results. One of the essential marketing analytic features of a system should help property management in identifying and diagnosing the weaknesses and strengths of the content posted on the property website and on other portals such as blogs, social media pages and so on. Secondly, in-built management and analysis features can help property management determine if the advertising campaign is worth the amount that is being spent on it. Analytics will be able to identify realtors that are providing the most prospects and those having the best closing percentages. With such information, it becomes easier in identifying and eliminating least cost effective lead sources, and helps to focus on sources that are producing the best results. An excellent marketing analytics system will have integrated dashboards and reporting features with visual charts that present in a simple and clear way, the overall marketing ROI, lead conversions, and prospect metrics. Tables, charts, and graphs should be able to provide weekly, monthly, as well as yearly performance levels. With such reporting, it becomes very easy to assess prospect and campaign trends, and the actions that are necessary for sustaining fantastic trends. The returns on marketing spending should be easily presented in the marketing reports, and there should be controls for filtering results according to campaigns, required data ranges, and other settings. Customization of dashboards should be possible through simple settings so that simple color-coding can demonstrate cost per lead, conversions, clicks, and spending. Property management will thus have the ability to display results that matter most. One of the best advantages of having marketing analytics feature in property management software is the ability to test various strategies. By monitoring campaigns and studying reports it become apparent, which strategies are providing the best results and the ones that need tweaking. When property-marketing efforts are based on analytics, they are more agile and can cover much more ground. The best part of analytics is reports can be displayed in most simple form that is easy to understand for almost any member of the property management team. Therefore, all team members can be on the same page, even if they are not directly concerned with the particular tasks. Winter is already upon us, and if you have not yet winterized your property, it is time you took immediate action. In today's climatic conditions, you cannot be complacent about winter, even if your property is located in a warmer region of the country. Unexpected storms during this season can create havoc, as it was quite apparent every once in a while when a region of the country is smashed by Mother Nature. Hence, leaving things unattended can prove quite costly, and it is best to prepare your property to withstand the harsh wintry conditions. Here are some useful tips to get your property ready. 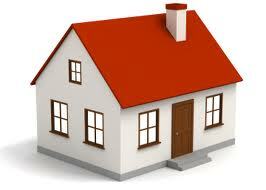 The first thing to do is to carry out an extensive inspection of the property inside and outside. Thoroughly check the window frames, doors, and walls of every unit. Immediately repair damages windows or doors and seal cracks, crumbling mortar, and holes. Additionally, check wood trimmings, sills, and sidings especially near doors, and electrical outlets. Use weather strips or caulk to seal the openings. 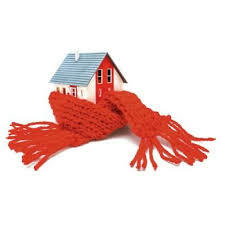 This will not only help in keeping the warmth in, but also result in quite a bit of savings on energy bills. Do not forget to inspect the exteriors as well. Check the roofing, and the window frames and doors in the common areas. Attend to the roof first, and check for loose or damaged shingles. The weight of snow during winter can put extra pressure on a damaged roof and worsen the condition further. Everybody relies on the heating system during the cold wintry days to keep warm. Hence, it becomes important to check these systems in each unit. Mainly check if the pilot light comes on, and that the filters are not clogged with pollutants and dust. It is better to hire a maintenance team to check the heating system, so that they can conduct repairs and do the required maintenance tasks immediately. When you try to do this in winter, emergency repairs will work out very costly. Gutters clog quickly with debris and leaves. It is important to have them cleaned regularly throughout winter, as accumulation of water in these channels can lead to leaks and formation of ice and snow. Exposed pipes are the first to be affected during winter. Wrap exterior pipes with some insulating material such as insulation tape or self-sealing foam tubes. These materials are inexpensive, and they will prevent damage to pipes that can be very expensive to repair. If there is an external irrigation system, the steps you need to take will depend on your location. If the property is in a cold place, you need to drain the pipes fully of water, and it is best to hire professionals to winterize your sprinkler system. In warmer climates, check the freeze sensor and turn off water supply during exceptionally chilly spells. Units will remain enclosed during the winter months while the heat is turned on inside. This increases the chances of accidental fires. Hence, check that the monoxide detectors and fire alarms are in solid working condition.